Experience: Lori completed her undergraduate degree at the University of North Texas, receiving a double certification in General Education and Special Education. While attending the UNT, Lori worked at the Child and Family Resource Clinic under the direction of the Reading Services Director, and participated in an interdisciplinary assessment program where she administered standardized reading assessments to children in the community. Lori went on to work as a dyslexia teacher in HEBISD providing daily therapy using the Multisensory Teacher Approach (MTA) program. Lori then began working towards her Certified Academic Language Therapy certificate through the LEAD program under Kay Peterson. She continued to work as a Dyslexia Therapist in Keller ISD for five years, providing daily dyslexia therapy and also evaluating and diagnosing students with dyslexia under Section 504 of the Rehabilitation Act of 1973. Lori was then trained in the Take Flight program in Eagle Mountain-Saginaw ISD where she continued to provide daily dyslexia therapy and also identification services. After completing her Masters in Special Education with an Emphasis in Dyslexia through Midwestern State University, Lori began working as a diagnostician. 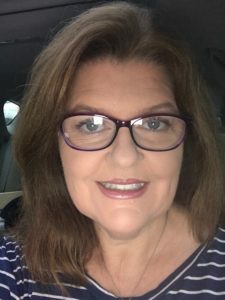 Lori is in her third year as a diagnostician and continues to be passionate not only about helping students with dyslexia, but also in helping professionals develop a deeper understanding of dyslexia and the dyslexia assessment process under both 504 and IDEA.